Republican Assemblymember Nicole Malliotakis is taking a serious look at running for Congress against Democratic U.S. Rep. Max Rose in 2020 and has taken a preliminary step toward a possible bid for the seat. Spectrum News NY1 and the Staten Island Advance both reported on Jan. 25 that she has filed paperwork with the Federal Elections Commission in preparation for a run against Rose, who won the House seat in New York’s 11th District in November. In an interview with the Brooklyn Eagle, Malliotakis (R-Staten Island-parts of Bay Ridge) confirmed those reports and said she will make a more detailed announcement at some point in the near future. “I’m not prepared to say anything more than I have filed paperwork so that I can begin to raise money,” she told the Eagle. Filing with the Federal Elections Commission now makes sense, she said. “The time is short, and it’s best to get started as soon as possible,” she said. Malliotakis first won her 64th Assembly District seat in 2010 and won re-election in November. She raised her political profile when she ran for mayor against Bill de Blasio in 2017, but she lost that election in a landslide. The incumbent mayor garnered 66 percent of the vote total while Malliotakis trailed far behind with 28 percent. She expressed a strong interest in running for Congress in 2015, after Michael Grimm, a Republican who had been elected to the House in that district in 2010, resigned after pleading guilty to a tax fraud charge, leading to a special election to fill the seat. Even though Malliotakis made no secret of her interest in running, Republican party leaders made it clear they were supporting Donovan for the seat. Donovan, the former Staten Island district attorney, won the seat in a special election in May of 2015. He served in the House from 2015 until 2018, when he was beaten by Rose. 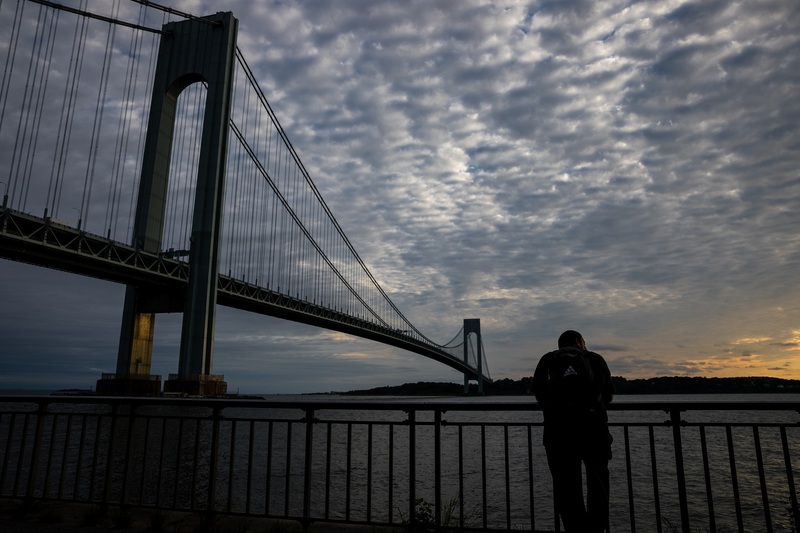 The 11th Congressional District covers the entire borough of Staten Island and takes in all or parts of several Brooklyn neighborhoods, including Bay Ridge, Dyker Heights, Bensonhurst and Gravesend. Rose, a U.S. Army combat veteran, defeated former Republican U.S. Rep. Dan Donovan in November to capture the seat, marking the first time a Democrat won in the Republican-leaning district in 10 years. President Donald Trump won New York’s 11th Congressional District over Democrat Hillary Clinton in the 2016 presidential election, and he remains popular in the district.